A Year of Being Here: Larry Smith: "Walking a Field into Evening"
For learned books, I read the grasses. For reputation, a bird calls my name. I cross a stone bridge with the pace of dusk. 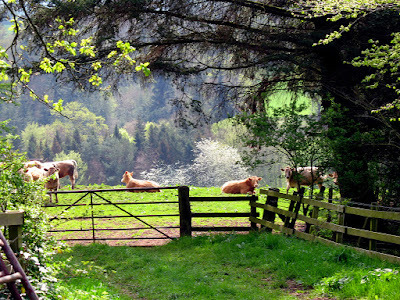 At the meadow gate, six cows meditate. now idleness tells me what is near. my body still, my feet firm on the ground. take wind or grow around us. just heart sense, or talk about nothing. learn to listen before I die. "Walking a Field into Evening" by Larry Smith, from Lake Winds: Poems (Bottom Dog Press, 2014). © Larry Smith. Presented here by poet submission. View a poem video in the poet's voice and with his musical accompaniment. 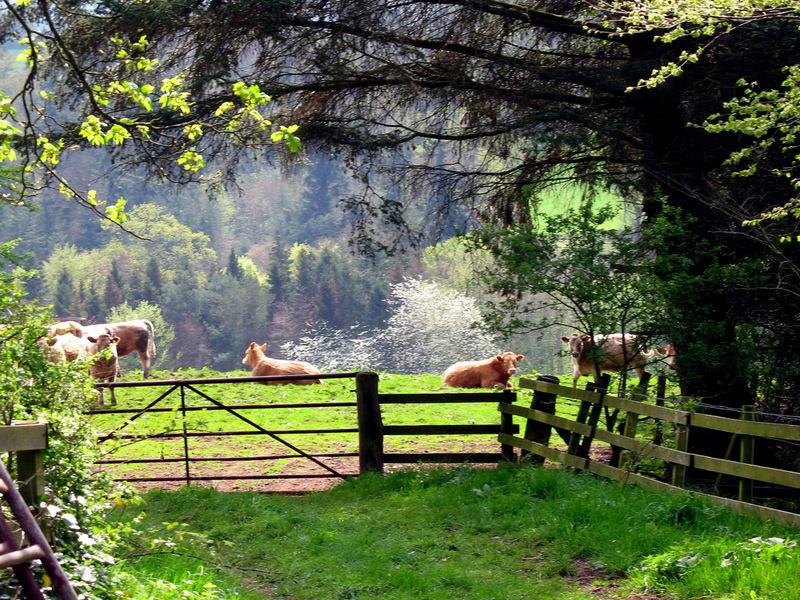 Art credit: "Cows in meadow," photograph by Bill Tam. "No more arguments" -- ah, devoutly to be wished! A beautiful poem. Thank you.